Here we present a brief outline of some of the proposals which RPC wishes to pursue via its Volunteer Program, including the estimated duration, cost and impact. Each of the proposed programs will have a detailed description of the respective objectives and activities before activities commence. This list is not fixed - some programs may be split, some may be combined. The duration and costs listed here are rough estimates only. Please consider supporting any of these proposals. And if you can suggest alternatives or improvements, we would love to hear from you. I'm interested as a possible donor/supporter. I'm interested as a possible volunteer. Population density and other data on village poultry in selected locations. Duration: 3 months. Cost: $600. Impact: a better understanding of the dynamics of village poultry production and marketing which will assist in targeting other interventions. Intensity of Newcastle disease vaccination and use of medicines. Impact: better picture of which poultry owners are missing out on vaccines/drugs and why. If this is clear, solutions will follow, eg through fostering small local suppliers, to give more people access to these vaccines/drugs. Support for rural poultry as a means of support for protected areas (reserves etc). Duration: 3 months. Cost $700. Impact: This program will work with Wildlife Action Group International around Thuma Forest Reserve to promote rural poultry as an alternative to poaching as a source of income for communities bordering the reserve. WAG is has a long history in the area and can be relied on to adopt effective and practical strategies. Duration: 3 months. Cost $600. Impact: potentially huge. Commercial enterprises know village chickens are much more popular than intensively reared chickens - they are looking for a market which under present conditions is far too diffuse. This study can only be on a pilot scale but the impact of a better commercial environment for rural producers could be ground-breaking. Impact: Mobile phones have been a quiet revolution in Africa over the past decade. Smart phones are another generation of technology which could potentially change for the better access to markets and services. Production parameters for the I-2 vaccine production unit at CVL. Duration: 2 months. Cost $400. Impact: Supply of the I-2 vaccine in Malawi has frequently not been in line with demand. With a better understand the factors which affect the availability we can design better planning strategies. Contribution of poultry vs other livestock to rural likelihoods. 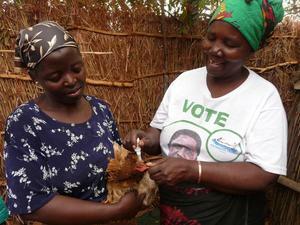 Impact: Village poultry have long been under-estimated. Not surprising, they are small. What is the real contribution of poultry compared to other livestock? How much emphasis should government and other agencies put on poultry? Constraints to sustainability of community based poultry technicians/vaccinators. Duration: 2 months. Cost $500. 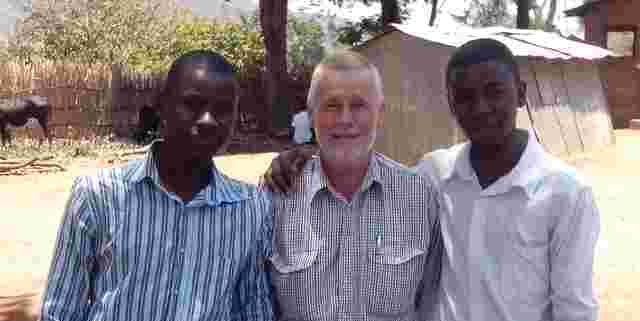 Impact: The performance of community based vaccinators in Malawi has been highly variable. We need to understand why some are very effective while others lose interest and enthusiasm. A study of common diseases of small scale poultry. Impact: Newcastle disease is the most important disease of rural poultry but other diseases especially respiratory problems in young chickens are a significant problem. This study will work with Central Veterinary Laboratory in an attempt to better understand the more common sources of loss. Design of short courses in small scale poultry health and production. Impact: Small scale commercial producers are hungry for more information on feeding, breeding, housing, and other management aspects. This program will work with Bunda to put together some course modules. Sound interesting? Talk to us.